Slovakia’s outgoing president is mounting a challenge against the country’s dominant political force, capitalizing on a wave of anti-corruption outrage that helped elect a pro-European liberal to replace him. Andrej Kiska will create a new political party after stepping aside in June to make way for the euro-area member’s first woman president, Zuzana Caputova, who won by a landslide in a presidential vote Saturday. 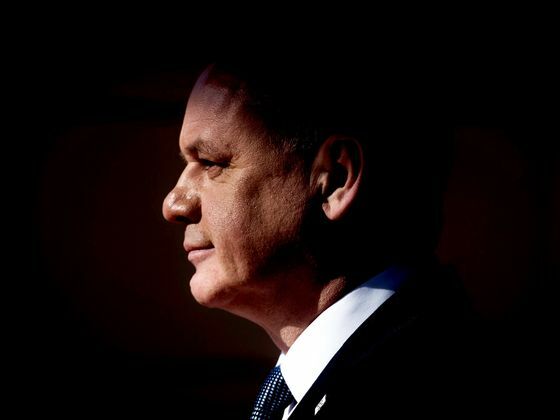 Kiska, a long-time critic of the ruling Smer party and a supporter of Caputova, said he’d reveal the details of the party on June 17, two days after his term ends. Kiska’s announcement comes as pro-European Union political figures in the bloc’s eastern wing try to confront the policies of leaders who have clashed with the bloc on issues ranging from migrants to the rule of law. Among their ranks are Hungarian Prime Minister Viktor Orban and Poland’s Jaroslaw Kaczynski, leader of the governing Law & Justice Party, who are vying with other nationalist groups to win more seats in next month’s European Parliamentary ballot. Smer has ruled Slovakia for 11 of the past 20 years, mostly under three-time Prime Minister Robert Fico. While Smer has long argued that Slovakia should remain among the EU’s core member states, his party has clashed with the EU over issues including migrants. It suffered a major setback last year when the murder of an investigative journalist triggered the biggest protests since the fall of communism and forced Fico out. Anger over perceived corruption catapulted Caputova, who was previously a little-known anti-corruption activist, to defeat Smer’s candidate in Saturday’s runoff ballot. While Caputova vocally advocated for more rights for gay people and embraced the EU’s multi-cultural ideals, her challenger, European Commission Vice President Maros Sefcovic, tried to appeal to the supporters of anti-establishment voters knocked out in the first round by stressing his devotion to traditional Christian values. Kiska beat Fico in the 2014 presidential election and has a chance to capitalize on Caputova’s victory. In a poll carried out by the AKO pollster before he announced the new party, 9 percent of respondents said they’d certainly vote for his political movement and another additional 31 percent saw it as likely. In a separate AKO poll, support for Smer slipped below 20 percent, down from 28 percent in the 2016 general election. "Kiska is taking advantage of the atmosphere in the society and its call for change," said Martin Slosiarik, Director of Focus, a Bratislava-based pollster. "The new party will get into parliament, but it’s hard to say now whether it will be a decisive force in politics. Kiska himself is not enough. A lot will depend on the other faces in the party."